Home » CM Blog » Content Marketing » What are you tracking? How many times have you heard, or said, that radio doesn’t work for marketing? It seems to always be followed with “as far as we can tell”. Similarly I hear that direct mail works really well. They know because they have a bar code. Neither of those is true, on it’s own. First off, everything can be tracked. It’s all in the content and the message. If you aren’t tracking your radio spots through appropriate KPIs than you are blindly throwing darts in the general direction of a wall, hoping there’s a dart board on it, and that you’ll hit the bulls-eye. Marketing is not about spots and dots, it’s not about pushing out postcards. Marketing is about planning and following the performance of each initiative, and how they compare to other tactics in the overall campaign. 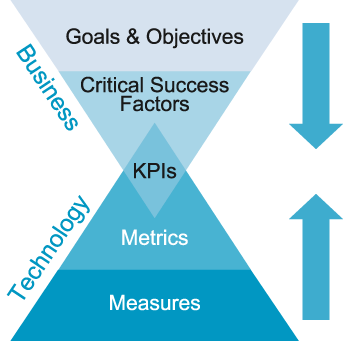 KPIs are Key Performance Indicators. They are the metrics (data points) that you use to determine the success rates of your campaigns. There are standard ones for each platform, but you need to determine which measurements truly reflect the purpose and goals of your initiative. 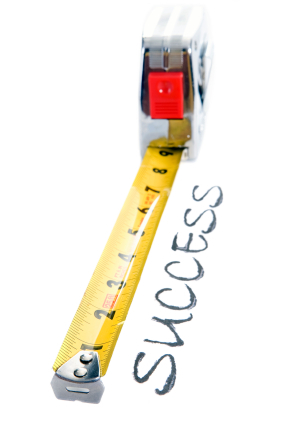 KPIs should align with the campaign objectives, which in turn should align with the business objectives overall. Cost of marketing includes the complete cost of the campaign. This includes set up and insertion orders, media and ongoing costs, production costs, distribution costs, as well as tracking and management. Internal resource time to develop these, or tracking vendor or agency fees, need also be included to ensure a true cost of marketing for the initiative. The cost of marketing also includes any margin costs in the form of discounts or cash back that the initiative offers. The goals of many campaigns involve engaging with new customers as well as existing customers. Based on this it is critical to understand the Lifetime Value of a Customer so you can accurately reflect the ROI of your initiative based on the life-cycle status of the customers who converted. If your objective is to gain new customers and your initiative results in sales from existing customers, while your coffers may be filled, the goals of the tactic were not met. Understanding the Lifetime Value of a Customer and where they are in the sales funnel, and being able to weight those values internally is an important factor in the ROI of your campaigns. Finally, you need to have a start and end date for your initiative. There can certainly be ongoing promotions and campaigns, but they should be set up to be tracked on regularly scheduled dates to determine success. There are typical lifetimes of initiatives. An email is typically a week or two, with most results coming in in the first few days, a direct mail piece varies based on in-home dates and the offer included. You can determine the best duration times for your initiatives by looking back at your previous promotions to view typical customer behaviors, but understand there will always be some that fall outside those timelines. Understanding end dates is important for tracking the success of the campaign. You may choose to honor promotion coupons and codes after an expiration date, but they should always have them included, to encourage your customers to use the coupons during the time frames. It also manages the phenomena of “stacking” promotions, which require additional analysis and tracking steps to ensure the credit is associated properly. After you have matched all the above pieces you can easily see on a spreadsheet how your campaign performed, and should be able to be broken down to the ROI for new and existing customers. If you are in the positive, fantastic. If you are not, you are in a better position to assess what worked and what didn’t. Too often positive outcomes are not analyzed as closely as negative ones, and potential opportunities are lost. Similarly there may have been other influences that played on the success of your initiative, that could have skewed the results. Regardless of outcomes you should approach each analysis with a critical mind, to determine what contributed to the outcome (positive or negative) and test each tactic using at the very least A/B testing, but consider multivariate testing as well, to improve outcomes. Always try for more. Always reach higher. Change a message, a color a call to action. Without analysis you cannot determine WHY something worked or didn’t work, or WHY it did, so you can repeat it. Take for example the company that sent out a new business postcard enticing users to sign up for a free audit of their current technology that would provide high level recommendations. This offer is wonderful (and should ALWAYS be taken advantage of!) because it offers new insights into what you’re doing right and wrong, from a different perspective. No one responded to the post card. Not a single person. The consensus in the company was that direct mail didn’t work for their business. A review of the tactic months later showed that there was no url to support the call to action. The targeted audience was not provided with a manner to respond to the offer. Another company that always used direct mail as their main source of outbound marketing decided to take a chance on a new targeted mailer brochure. The results, they said, were astounding as it increased their response rates by over 50% in just the first week, with about half of those customer conversions from new customers. Fantastic! A review of the initiative showed that there were just a handful responses, and this was taken after just the first few days of the campaign. That’s too soon and not enough data at all to make a conclusion, other than their previously assumed successful direct mailings actually FAILED! What the review did show was that the new company had a highly targeted audience, that aligned with their audience perfectly, reaffirming the need for targeted segmentation in their marketing initiatives. Data is powerful, but too often in marketing, especially for small or medium sized business, perceptions and preconceived notions of success are stronger. Those conclusions, without data, are holding you back. ← Is Your Company a Wallflower?